What do your favorite clothing items—your trusty Carhartts, that cozy adidas fleece, your beloved Rab baselayer—have in common? These items, along with clothing made by roughly 60 other major brands worldwide, have a secret ingredient that makes them indispensable to your wardrobe. They’ve all partnered with 37.5 Technology to bring you the best possible comfort and performance. Big-name brands like these, not to mention Rossignol, Salomon, Thermarest, and countless others, rely on innovative 37.5 technology to make their products high-performing in every environment. In other words, 37.5 is the wizard behind the curtain, so to speak, of many of your favorite outdoor brands’ most beloved items. Sounds good, right? So how does it work? Dr. Gregory Haggquist, 37.5’s founder and Chief Technology Officer, began experimenting with activated charcoal as a way to reduce odor from fabrics. Instead of just reducing post-workout stink, Dr. Haggquist found that this incredibly porous substance (meaning it’s also super absorbent) made fabrics dry quickly, too. As his testing continued, Dr. Haggquist discovered that when athletes wore fabrics whose fibers contained activated charcoal, their clothes didn’t just wick away moisture. Instead, the fabrics actually moved moisture vapor away from the wearer’s body, causing it to evaporate before it had a chance to become liquid sweat. Thus, the now-patented idea behind 37.5 was born. The technology’s name is a reference to the body’s ideal core temperature: 37.5 degrees Celsius, at which you’re capable of the best possible performance. It’s also the humidity percentage that’s most comfortable for the skin—the optimal “microclimate,” as Dr. Haggquist describes the zone immediately surrounding the body. By using fibers made of volcanic sand and tiny fragments of coconut shells, 37.5 technology allows the body to properly thermoregulate. In other words, this ordinary-looking fabric makes it possible for our bodies to stay cool when it’s hot and warm when it’s cold. Fabrics with the technology incorporated are ideal for recreating under just about any conditions. The best part is that this careful balance of heat retention and loss to keep the core temperature hovering right around 37.5 degrees takes place without you even having to do anything. And it produces real results. The University of Colorado’s Integrative Physiology Department ran a blind study, in which it tasked athletes with rigorous, hour-long stationary bike workouts. Athletes performed the workout three separate times—with a cooling jacket(which circulates cold water to lower the body temperature), with a run-of-the-mill wicking tech shirt, and with a shirt embedded with 37.5 technology. Athletes in the study were asked to push as hard as they could for as long as they could, reaching what’s known as their lactate threshold. The result? Fabrics that employed 37.5 technology performed similarly to a cooling vest: athletes’ overall core temperatures were lower and the garments made it possible for the athletes to increase their efficiency. In short, they were able to do the same amount of work while expending less energy. The technology automatically responded to wearers’ needs, allowing them to work out a whopping 26% longer. Fortunately, you don’t have to be an elite athlete to take advantage of the benefits of 37.5 technology. In fact, some of your favorite brands are already incorporating the technology into their products. Take Carhartt, for example. It’s one of the most trusted brands in outdoor workwear, and its durable products are beloved for their comfortable fit and timeless style. Carhartt has partnered with 37.5 Technology to create the Force Extremes product line. An example would be the Force Extreme Convertible Pant, which fits like the Carhartts you know and love (and still has those reinforced pockets and kick panels), but weighs in at just six ounces. Thanks to 37.5, the Force Extremes are Carhartt’s fastest-drying gear, so whether you’re sweating, working in wet conditions, or whatever else the job throws at you, they’ll keep you comfortable. There’s also adidas, one of the most recognizable brands on the market, whose outdoor apparel line has recently expanded and improved. Adidas has also partnered with 37.5 to bring outdoor recreationists the Terrex Stockhorn Jacket (both men’s and women’s styles available), coming in at 13.5 ounces but still providing a surprising amount of insulation from the elements. With activated charcoal embedded at the fiber level, the fleece is excellent at managing moisture. Not surprisingly, it’s adidas’ best-selling mid-layer. 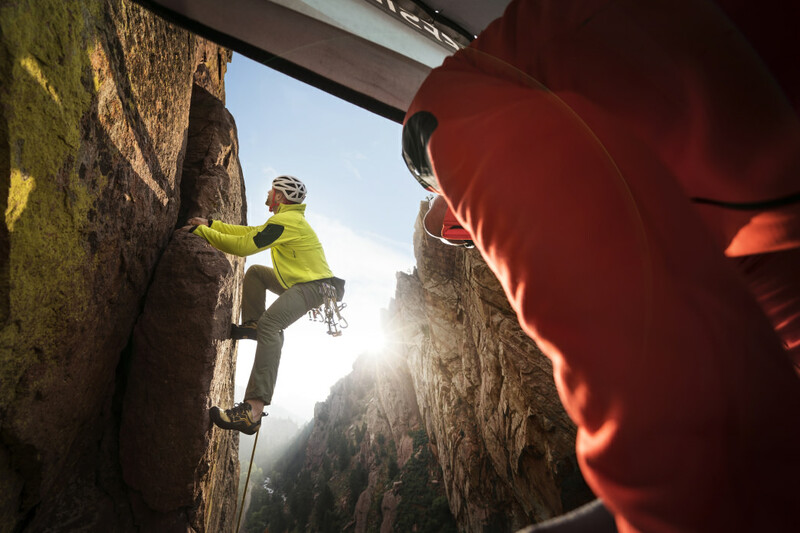 Alpine gear manufacturer Rab has joined the 37.5 craze, too. Known for its high-end insulated jackets, which you’ll see worn by alpinists the world over, Rab has collaborated with 37.5 to create the Merino+ base layer. Thanks to the combination of soft merino wool and 37.5 technology, this base layer not only keeps the microclimate right where it needs to be for optimal performance but also cuts down on odor (it’s pretty comfortable, too!). Dozens of other household-name brands are utilizing 37.5 technology to improve their products, too. And applications for 37.5 go beyond just optimal performance for outdoor recreation – the technology is also used in Kenneth Cole footwear and in Select Comfort sheets to help folks get a better night’s sleep. Check out the 37.5 Partners page for more information on which of the brands you trust is using 37.5 Technology.